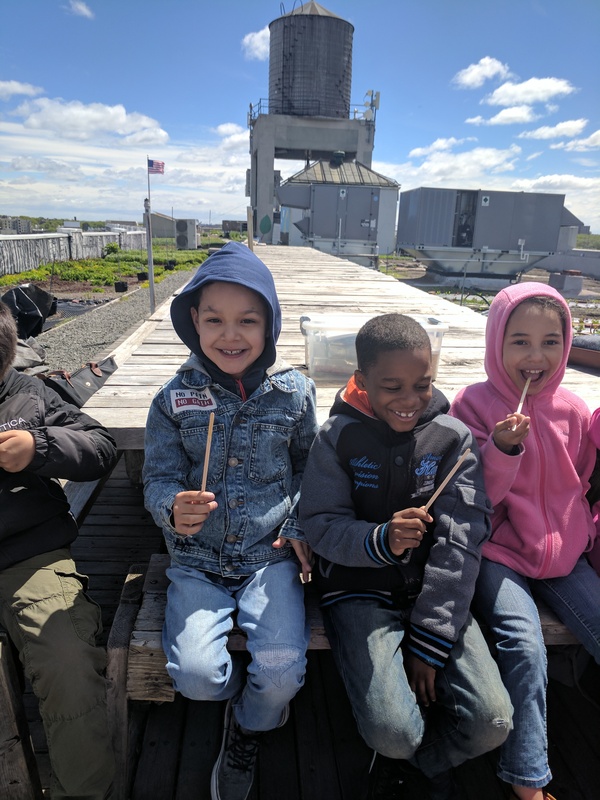 On May 15 2-204D went to visit The Brooklyn Grange, a rooftop urban farm. We participated in many farming activities and learned about what is planted and grown here. We learned about the importance of worms and compost, helped to make compost and hold the worms. We learned about the importance that bees have on the farm, looked at the inside of a beehive, and sampled some honey that the bees at the farm made. We even got to walk up and down the rows of crops, sampling some of the vegetables and planting our own plants. Here we are hard at work! Previous Entry:K-112 Has Muffins With Mom!